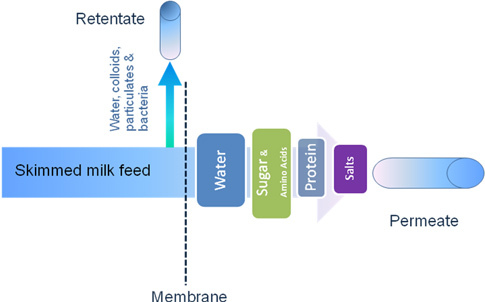 Microfiltration is a low pressure from 0.1 to 0.5 bar) cross-flow membrane process for separating suspended particles in the range of 0.05 to 10 microns. 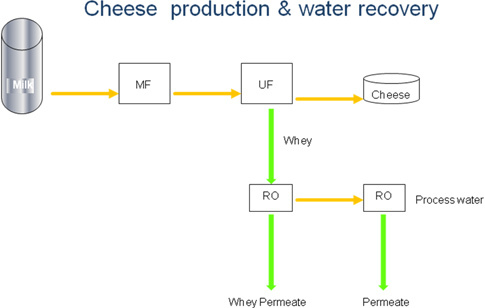 This process is used for the removal of bacteria and can reliably remove over 99% of poreforming bacteria responsible for reducing shelf life of heat treated dairy products. 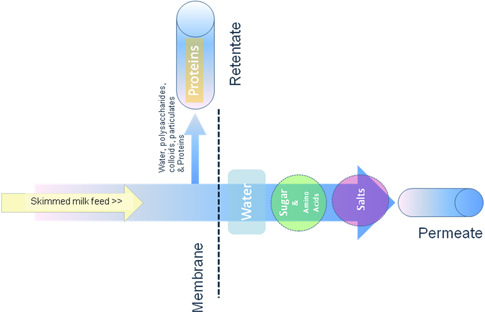 Ultrafiltration is a selective fractionation step utilising pressures up to 10 bars to retain particles of specific cut-offs from 1,000 to 1,000,000 molecular weight. A spiral wound system is generally a lower capital investment than ceramic membranes but they are more suxceptible to damage and are inactivated by small quantities of chlorine. Ceramic membranes are generally more sturdy and require less care and maintenance than spiral wound.